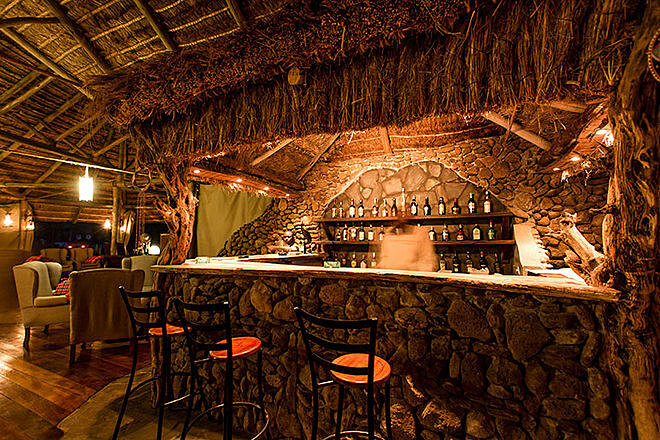 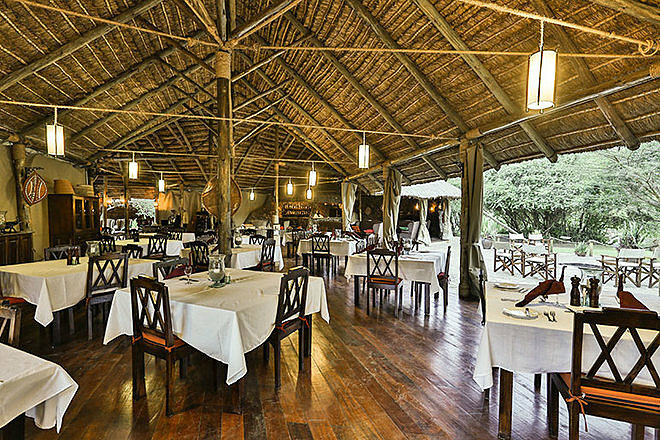 Karen Blixen Camp is a good mid sized camp located in the Mara North Conservancy with a lovely setting on the bank of the Mara River. 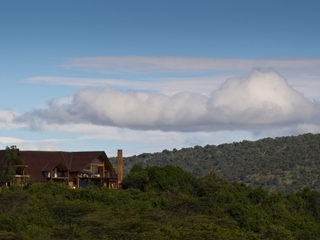 Wildlife in Mara North is excellent with excellent chances of seeing lion and leopard. 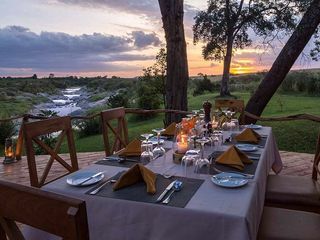 The Camps location on the river means guests can enjoy views of the hippos from camp. 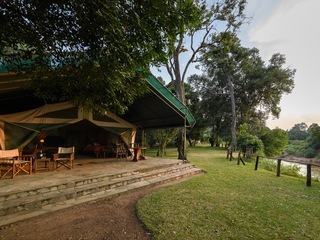 Unusually for a smaller bush camp, Karen Blixen also has a swimming pool for down time between game drives. 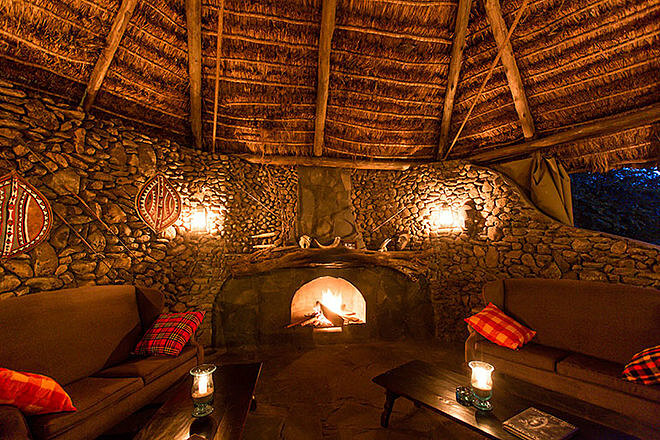 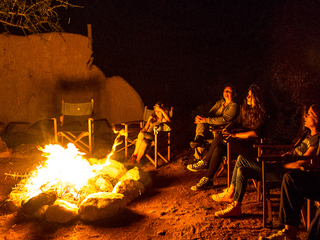 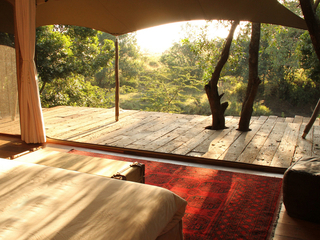 Karen Blixen Camp has 22 large luxury canvas tents – each set on a wooden platform with a spacious verandah. 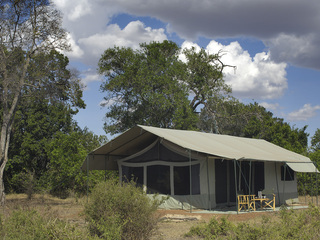 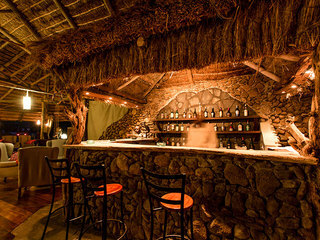 Each tent is en-suite and furnished with a large comfortable bed, Persian rugs and a cozy armchair. 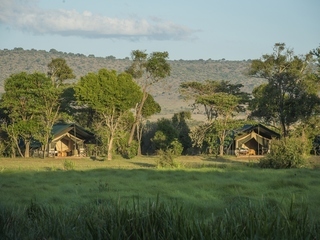 The private bathroom has a flush toilet, twin wash hand basins and outside shower. 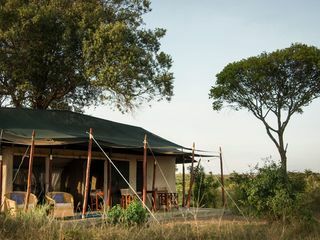 Tents can be configured for either double or twin occupancy, where under prior arrangement a 3rd and even 4th bed can be added for children below the age of 12. 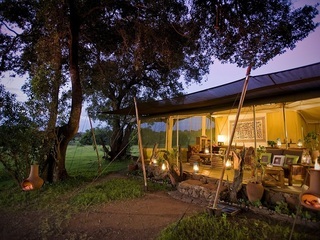 The family unit consists of two tents with a shared verandah. 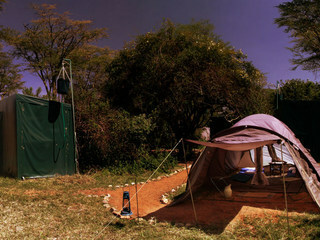 The tents are strung along the banks of the river with undisturbed views of the river and Oloololo Escarpment beyond. 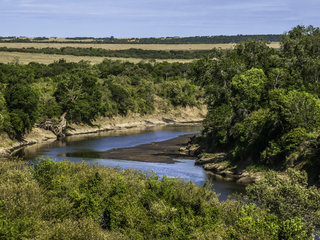 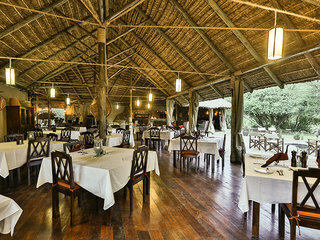 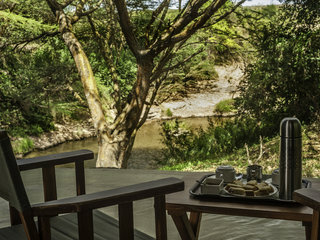 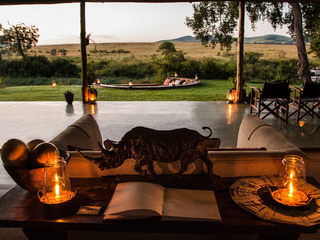 The heart of the camp is the open plan ‘mess’ area, built on a raised wooden deck, which overlooks a resident hippo pod in the Mara River. 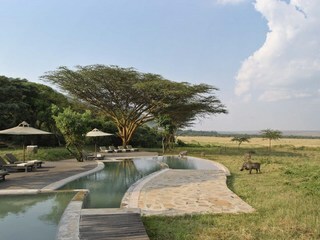 There is also a small pool in the garden with sun beds for downtime between game activities. 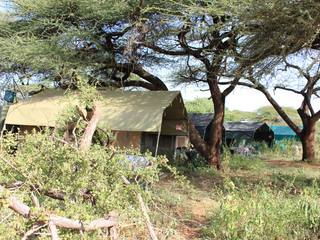 Activities center around the morning and afternoon game drives within Mara North Conservancy. 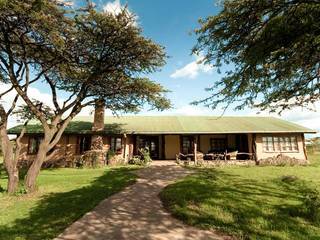 Mara North Conservancy adjoins the Masai Mara Reserve (unfenced) and due to the lower vehicle density, usually has excellent game viewing. 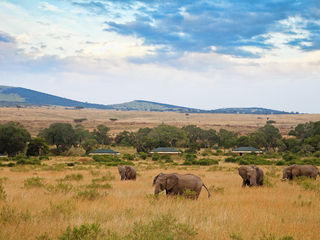 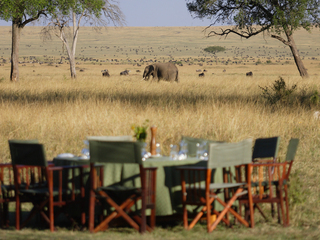 On request and during the migration, game drives can be organised into the Masai Mara National Reserve. 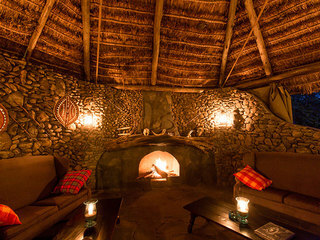 Limited alternative activities are also available including, game walks, nature walks, balloon safaris (extra cost) and community visits to the local Maasai Manyatta (village), school, market and church.